Home / Blog / Why use a shredding company? 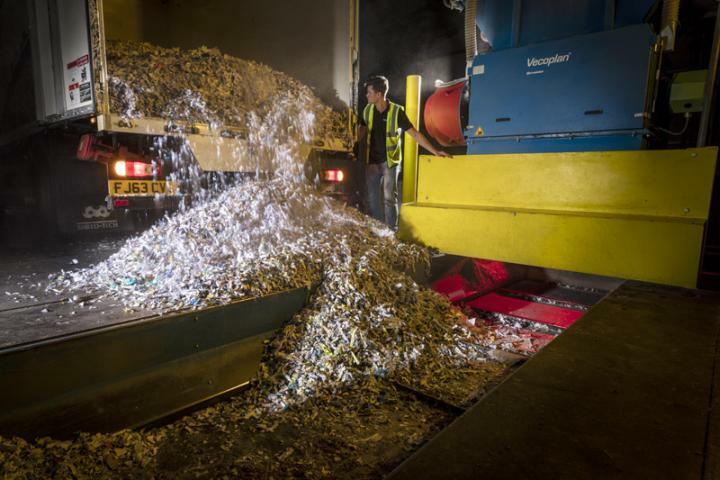 Why use a shredding company? Although owning your own shredding machine may be appealing at first glance, there are a host of reasons why it actually makes more sense to use an outsourced provider. With so many affordable office shredding machines available, you could be forgiven for wondering why you would need to work with a shredding provider at all. But the upfront cost of the machine is only part of the story. Once you factor in electricity, spare parts and maintenance, the true lifetime cost is much higher. Then there’s manpower – your machine may not demand a wage, but the same can’t be said for the person who has to stand there feeding documents into it. Running your own shredder also means taking on responsibility for your confidential waste. It’s up to you to make sure it’s securely stored before shredding, and also that it does actually get shredded in a timely way. For most firms, this is just one more thing to worry about, and the job either gets dumped on admin staff who are already busy enough, or sorted out in an ad hoc way by whoever is responsible for the waste. When you’re talking about something as vital as confidential waste and data protection law, the process just isn’t fit for purpose. There are practical implications too. You still need to dispose of the shredded material, which means more time and mess. Even if you get that sorted out, you still have the problem of dust particles from your shredder being released into the workplace, which can cause fire or health hazards (through inhalation). Using the shredder itself presents several safety issues too, from neckties and long hair getting caught in the mechanism to top-heavy machines toppling over. Read our article ‘The Dangers of In-House Shredding’ to learn more about the risks. You may also find that your device isn’t up to the job of dealing with more robust materials, which means you end up delaying vital shredding while you find a temporary solution elsewhere. In recent years, firms have been switching to cross-cutting shredders, following the revelation that strip-cut machines have insufficient power. But cross-cutting machines can be very dangerous, and account for around 2000 injuries per year. Finally, the DIY option isn’t very scalable. As the volume of shredding increases, so do the time, cost and practical implications of your in-office machine. If you hit a major peak in demand – for example, following an office move or general clearout – you could find it hard to cope. A larger machine offers you more shredding power, but also increases all the associated health and safety issues. Fortunately, there is an affordable and effective alternative to all this. By outsourcing your shredding to a shredding company, you can avoid all the practical, legal and financial implications of running your own in-office shredder. And it probably costs a lot less than you think. A reputable shredding company such as Shred Station can offer you high-security shredding to the same requirements as government bodies, with the certifications and accreditations to prove it. Our chain of custody is completely watertight, with lockable bins provided for your waste, security-tracked vehicles and secure disposal confirmed by a certificate of destruction. We can handle everything from standard paper waste right up to digital media and products, so you never have to worry about what can be shredded or the capacity of your machine. You don’t even need to remove staples, plastic wallets or lever arch files – our state-of-the-art equipment can handle them all. We’ll come and collect your confidential waste, either on a regular schedule or as and when you need it, so there’s no need to remember what and when to shred. Shredding can take place on-site with our mobile shredding service, or back at our depot with our off-site service – the choice is yours, and both are equally secure. Everything we shred is recycled and we operate a carbon-offset scheme, so outsourcing is very much an environmental option. Learn more about our services or get in touch to discuss your requirements.